Do you like reading Feng Shui Articles? We sure do! And we like writing them too! We've been writing Feng Shui Articles for quite some time now, and people seem to like them. Thanks a bunch! Now we've organized them all in a very nice neat list on our website, with descriptions and all the rest. Oh, and there are links so you can read them all too. That is, in case you haven't already. 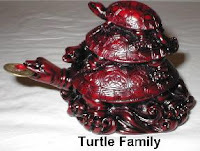 Please enjoy our Feng Shui Articles http://www.yourfengshuistore.com/Articles_ep_41.html . Happy reading! This April the big thing in Feng Shui is Feng Shui Chinese Coins. China has been producing coins for about 2000 years, so it is not surprising that everyone wants either Genuine Ancient Chinese Coins, or some of the many replicas we sell. Replicas include the 1 Inch Chinese Coin and the 2 Inch Chinese Coin. So why, after 2000 years, is Chinese Coins the must have item of the season? All of our Chinese Coins represent money, they are extremely portable and inexpensive. It is Tax Season, the big reminder to most that this year did not match up to years of the past. People know that Feng Shui money symbols, like Chinese Coins, can help their economic situation without breaking the bank. Plus, they can carry their Feng Shui Chinese Coins with them. You can find all of our Feng Shui Chinese Coins on our Feng Shui Coins Page http://www.yourfengshuistore.com/Coins_c_7.html . Looking for the article? Get Rich With Chinese Coins http://www.yourfengshuistore.com/Feng-Shui-Coins-Article_ep_52.html gives you the history of Chinese Coins and explains why Chinese Coins are an important part of Feng Shui. 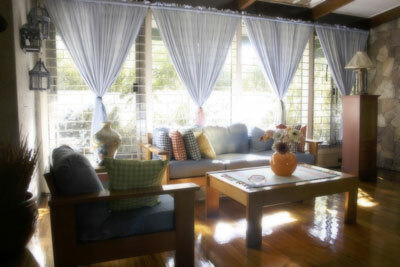 April's Feng Shui Tip of the Month is our article called "Feng Shui Your Family Room" Read this month's Feng Shui Tip of the Month here http://www.yourfengshuistore.com/Tips_ep_58.html . Please stop by every month to read our tip before it goes away and is replaced by next month's tip. Hope you enjoy the Feng Shui Tip of the Month for April and our new tip every month. Your Beaded Hanging Crystals look pretty in the pictures. Mark and Leslie, do the different beads on the strings serve a purpose? Thank you for your question. Yes, the various beads hand strung above the Swarovski Crystals on our Beaded Hanging Crystals do serve a purpose. I (Leslie) choose my crystals, semi-precious gemstones, and colored beads based on the Feng Shui Bagua area or purpose of the Beaded Hanging Crystal I am designing. I personally clear and program all of the crystals or stones that need to be cleared and programmed. I also personally hand pick each bead for each hanger and hand string each Beaded Hanging Crystal while meditating on that crystal's intention throughout the beading process. You will find my Feng Shui Beaded Hanging Crystals on our Feng Shui Crystals page http://www.yourfengshuistore.com/Crystals_c_1.html . Sometimes beauty does serve a larger purpose. Zen Appeal has a page dedicated to special sale items, each available for a limited time only. Sale items come and go without warning, so please check the page often and enjoy the big discounts! Here's the link to the Zen Appeal Sale Page http://www.yourfengshuistore.com/On-Sale_c_23.html . Featured Sale Items include - 20mm Swarovski Hanging Crystal, Large Chinese Coin on Red Cord, Safety Feng Shui Bell, Large Love Word Stone, Feng Shui Dragon Sword, Om Hanger, Pocket Buddha, Dragon Headed Tortoise, Painted Royal Elephant, Money Luk Coin Hanger, Angel of Healing, Red Lucky Cat, and more! Some of our most popular items are on sale! Sale Prices starting as low as $.75! Plus special Buy One Get One Free deals. All on our Feng Shui Sale page http://www.yourfengshuistore.com/On-Sale_c_23.html . Back by popular demand are two of your favorite things! The Bagua Mirror - 5 inch Concave has returned after a short absence. This mirror deflects negative energy away from your home or business. It protects against poison arrows like a tree or other item in line with your front door, and protects you from negative energy from your neighbors (human or environmental like a cemetery). You'll find the Concave Bagua Mirror on Zen Appeal here http://www.yourfengshuistore.com/Concave-Bagua-Mirror_p_72.html . Also back is the Fertility Elephant. Elephants have long been held a symbol of fertility, and this pastel pink elephant is especially effective in the Children and Creativity Bagua area of your bedroom to improve Fertility. You will find the Fertility Elephant Zen Appeal Feng Shui Fertility page http://www.bocafengshui.com/fertility.html . Recently some of our popular items have unfortunately been discontinued by our suppliers. We have limited quantities of the following items available: Angel's Influence Candle, Medium Chinese Jade Elephant, Open to Receive Spray, Creativity Candle, Silk Brocade Handbag, Om Hanger Purple, Large Gold Elephant, White Lucky Cat Money and Happiness, Clearing Anger Spray, White Lucky Cat Happy Business, Protection Spray, Golden Lucky Cat Money and Happiness, Dreams Candle, Feng Shui Dragon Sword, 3-D Dreams Dream Catcher, Healing Feminine Spray, Silver Floating Heart Charm, Swarovski Crystal Heart Necklace with Rose Pendant, Swarovski Crystal Heart Necklace with Aurora Borealis Pendant, Courage Candle, Love Heart Candle by Montserrat and Attraction Heart Candle by Montserrat. Feng Shui Consultants of Boca Raton and Zen Appeal proudly accepts PayPal. PayPal lets you use all major credit cards, bank transfers, debit cards, and more for payment. Plus, you do not need to have or open a PayPal account to buy from us with PayPal. And best of all, using PayPal is FREE! PayPal is Safe. When you use PayPal, your financial information is secure and is not even shared with us. Have not tried PayPal yet? Still have unanswered questions? Please visit PayPal http://www.paypal.com/. Check out our Feng Shui Blog at http://fengshuiconsultation.blogspot.com/ . We have continued to post on our Blog about our site updates. We also post updates when new products are added to Zen Appeal and when both the Zen Appeal Sale Page http://www.yourfengshuistore.com/On-Sale_c_23.html and Feng Shui Tip of the Month http://www.yourfengshuistore.com/Tips_ep_58.html are updated. Currently our Blog has archived newsletters June 2008 - March 2010. Our Blog links to our Zen Appeal Facebook page https://www.facebook.com/zenappeal and Feng Shui Hangout our Facebook group https://www.facebook.com/groups/79497550403/ , where you can comment and ask us questions that we will answer. Please continue to enjoy! Need help finding a Feng Shui item for a specific Feng Shui Bagua Area? Now we have a Feng Shui Bagua Guide page that features Feng Shui products for each Feng Shui Bagua Area, and explains why they are the right choice for you. Zen Appeal Feng Shui Bagua Guide page http://www.bocafengshui.com/fengshuibaguaguide.html . Our new article will tell you how to Space Clear your home or office yourself simply, quickly and inexpensively. Another article written by us, Feng Shui Consultants of Boca Raton/Zen Appeal's Leslie & Mark. One of the most significant things you can do for good feng shui in your home is to keep the windows clean and clear. You can influence your home’s ch’i in a helpful way by covering your windows with pleasant window treatments that permit the most natural light to enter during the day and give privacy at night. Windows are often called “the eyes of the home” and, in feng shui, windows are linked to your potential to see clearly in life. When it comes to the feng shui of your window treatments, you have to make sure that your improvements add to the decor of your home and don’t away from it. Subtle feng shui or that is done within the guidelines of good interior design is the best feng shui. In order to promote good, healthy energy you should go with draperies and curtains that are made from natural fabrics like cotton, silk or wool. If you decide that blinds would fit best with your home decor, opt for wood as opposed to plastic. Stay away from any synthetic materials as this is very bad for your home’s feng shui. Shades can be implemented into your home’s feng shui as well, but it might be best to stay away from accordion folded shades as they tend to create a sharper quality of energy during the daytime when they are folded. Also, make sure the material and color of your window treatments is suitable for the room’s decor and for the bagua area. Bagua is used in feng shui to find out which part of your home connects with a particular situation in your life. You can use a bagua diagram to figure out what colors are suitable for each area of your home. These are some basic feng shui guidelines to follow for your home’s window treatments, but if you don’t know very much about feng shui, it is always best to have a professional help you with your decorating endeavors. Looking for a Feng Shui gift for Mother's Day? Consider our New Mother Gift Set. The perfect gift for a brand new mom or the leader of a huge pack of kids. It includes 3 powerful Feng Shui items to enhance the recipients' mothering energy. The New Mother Gift Set includes one Medium Chinese Jade Elephant, one Kwan Yin with Baby and one Evil Eye Lanyard. All for Only $20! We can gift package all three items together in one attractive box and include a personalized card with any greeting you request. You can find our New Mother Gift Set and our other Feng Shui Gift Sets on our Feng Shui Gift Set page http://www.bocafengshui.com/fengshuigiftsets.html . Feng Shui Consultants of Boca Raton and Zen Appeal have added a new item at Zen Appeal. Swarovski Weight Loss Hanging Crystals help you lose weight easier so you can achieve your healthy optimal weight. You will find our Swarovski Weight Loss Hanging Crystal on Zen Appeal here http://www.yourfengshuistore.com/Swarovski-Weight-Loss-Hanging-Crystal_p_10.html . Feng Shui Consultants of Boca Raton and Zen Appeal have added April's Feng Shui Tip of the Month. Please visit http://www.yourfengshuistore.com/Tips_ep_58.html to read it and find out how you can find your way to Feng Shui Your Family Room . People often ask us how to improve their family relationships and health. The key is to focus on the Family and Health Feng Shui Bagua Area. Here's the beginning of the article, to get you started: For many people their family room is the most important, and most used, room in their home. It is the room where the whole family gathers to watch TV, listen to music, talk, play games or even eat some meals (although we would not recommend this - dining rooms are for eating.) Many people spend a large amount of their 'at home time' in their family room, so it is important that this room is comfortable and relaxing and has good energy flow. In Feng Shui, the Family and Health Bagua area of any home or room is where you focus on working out family problems and strengthening family bonds. Please visit http://www.yourfengshuistore.com/Tips_ep_58.html to read the rest of the Feng Shui article. Back by popular demand are two of your favorite things! The Bagua Mirror - 5 inch Concave has returned after a short absence. This mirror deflects negative energy away from your home or business. It protects against poison arrows like a tree or other item in line with your front door, and protects you from negative energy from your neighbors (human or environmental like a cemetery). You'll find the Concave Bagua Mirror on Zen Appeal here http://www.yourfengshuistore.com/Concave-Bagua-Mirror_p_72.html . Also back is the Fertility Elephant. Elephants have long been held a symbol of fertility, and this pastel pink elephant is especially effective in the Children and Creativity Bagua area of your bedroom to improve Fertility. You will find the Fertility Elephant Zen Appeal Feng Shui Fertility page http://www.bocafengshui.com/fertility.html . Welcome Back! It's no April fool, at Zen Appeal, we've got great bargains on all of your favorite Feng Shui items! Make sure to check out all the great deals we have for you at our Feng Shui Sale page http://www.yourfengshuistore.com/On-Sale_c_23.html . At Zen Appeal the April Sale items have been added. We have great prices, just for you, on our Sale page. Some of our new sale items include our 20mm Swarovski Crystal on red cord (ready to hang,) Feng Shui Dragon Sword, Safety Bell, Large Chinese Coin on Red Cord Necklace, Large Love Word Stone, and The Om Hanger. Plus we still have some Buy One Get One Free Deals remaining. Please visit our Zen Appeal Feng Shui Product Sale page http://www.yourfengshuistore.com/On-Sale_c_23.html to see all the great discounts for yourself. Sale Prices starting as low as $.75! Don't forget, Free Shipping for all orders $50 and over.